Longer, steeper — faster? Edmonton will be home to the most technical track on the current Red Bull Crashed Ice tour, and the Edmonton Convention Centre is offering a behind the scenes look at the building of the elaborate track that will snake its way around the downtown convention centre via a live stream at ShawConferenceCentre.com. Construction has begun on the track around the convention centre — the first time that the outside of the Edmonton Convention Centre building is being activated for an event. The live stream will capture the work taking place from 7 a.m. to 7 p.m. daily. The track will connect Jasper Avenue with our city’s river valley, specifically Louise McKinney Park, in a stunning display of Edmonton’s potential as a winter city. Once the event begins on March 14th the live stream will go dark, signaling to viewers that they should join thousands of others to see the track brought to life by Red Bull’s athletes. The building of the track will cause some traffic, parking and park access disruption prior to and during the event. Details can be found at Edmonton.ca. 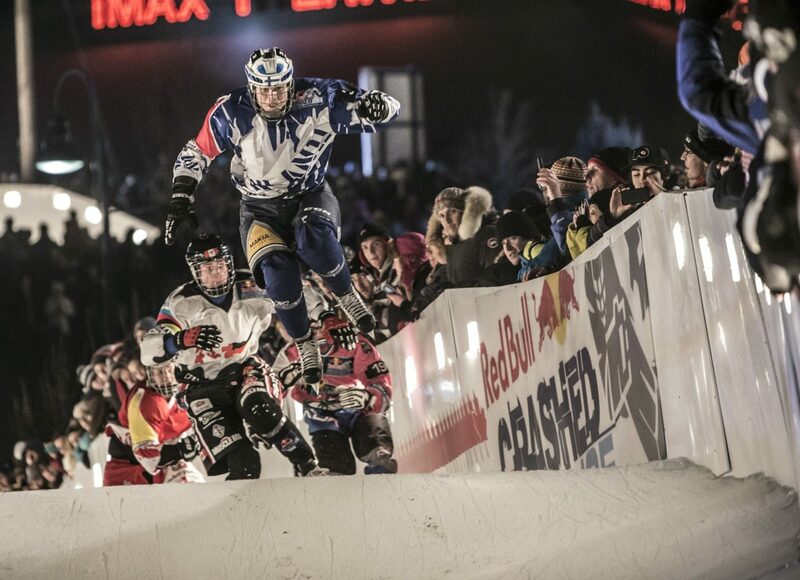 For more information on the Red Bull Crashed Ice tour and the Edmonton event, visit RedBullCrashedIce.com. More information is available at ShawConferenceCentre.com and by following @EdmontonSCC on Twitter. The Edmonton Convention Centre, which is owned by the City of Edmonton and managed by Edmonton Economic Development, is a top contributor to the meetings, conventions and special event business in Greater Edmonton, hosting about 700 events and half million guests each year, who in turn $51 million in spending across the province.